When Michael, a student with literary ambitions, brings his new girlfriend Anita back to the North London family home he shares with his younger brother Jason, a love triangle is formed which, over the next twenty years, will have an incalculable impact on each of their lives. 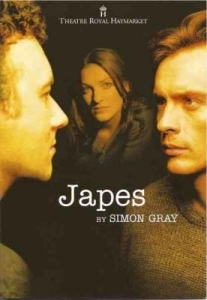 One of Simon Gray’s finest plays, Japes is a unique depiction of love and brotherhood. Simon Gray wrote three other plays telling different stories about the characters in Japes: Japes Too, Michael and Missing Dates. Information about the plays can be found by following the links above. Missing Dates was broadcast on BBC Radio 4 in 2008, and featured Toby Stephens and Jasper Britton of the original production of Japes. 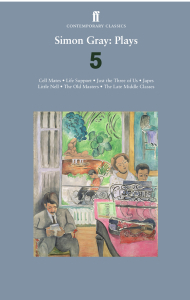 The first version of the two middle plays in this volume [Four Plays] was called Japes, and was about two brothers, Michael and Japes, the nature of their love for each other, and for the young buy xanax from china woman, Anita, who becomes Michael’s wife while remaining Japes’s lover. 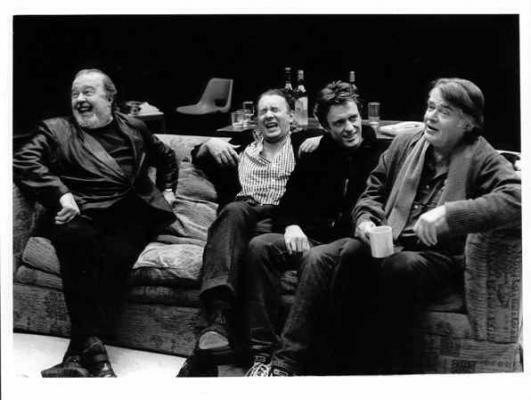 It was first staged at the Mercury Theatre, Colchester, in November 200, then transferred to the Theatre Royal, Haymarket, in February 2001, with Toby Stephens, Jasper Britton and Claire Swinburne in the three parts, Peter Hall directing. It was a lovely production, I think, and I can’t say I was actually dissatisfied with the final form of the play – I cut and rewrote it in rehearsals and in the break between Colchester and London – but every time I sat through it at the Haymarket I felt stirring not so much an improved version as an alternative version: the same characters in the same situation in the same house, but telling a slightly different story through to an almost opposite conclusion. When I sat down to write it, it came out twice, in two different stories, one of which comes to the opposite conclusion, the other to the same conclusion but by an unexpected (at least by me) route. I called the first of the new plays Japes Too in order to distinguish it from its predecessor while acknowledging its connection, the other I called Michael, for obvious reasons. There is a move to produce Japes Too and Michael in tandem in New York some time early next year, with Maria Aitken directing. 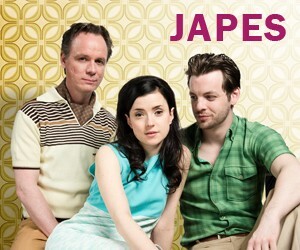 Japes is now available as a Faber Contemporary Classic in Simon Gray: Plays 5. To order a copy on special offer at 25% discount please contact Faber and use code GRAYPLAYS.